Editor’s note: This is the third in a three-part series on specializing in the real estate industry. Read Part 1 here and Part 2 here. Human beings are funny, aren’t we? We are all inherently unique, a fantastic collection of nature, nurture and every chapter written in our life’s story leading to now. Further, studies have shown that 98 percent of the atoms in our bodies are replaced each year, telling us that not only are we unique, our uniqueness actually regenerates — we are consistently becoming a “newer” version of ourselves. Yet, like onions, people have layers. Abraham Maslow called these layers our “hierarchy of needs,” and one of those needs is belongingness. We have a basic human need to feel like we belong, which according to many psychologists is the drive behind other human desires such as intimacy, power and achievement. I previously discussed the pros and cons of a specialist approach to real estate branding vs. the more prevalent generalist mindset and then went into further details regarding the most common of real estate niches, “the neighborhood/local expert.” Let’s take a big step out of that box and examine some alternatives that will allow you to differentiate yourself from the pack while also capitalizing on the basic human need to belong. Few can argue that Howard Schultz, chairman and CEO of Starbucks, doesn’t have a good head for business. Twenty years ago, a tall coffee at Starbucks was $1.25 and was considered a luxury at that price … my, how times change. Fast forward to today and the business landscape still reflects Schultz’s statement with global consumer trends heavily influenced by lifestyle, sustainability, social conscience and consumers generally attempting to avoid “guilt spirals” related to purchasing decisions. 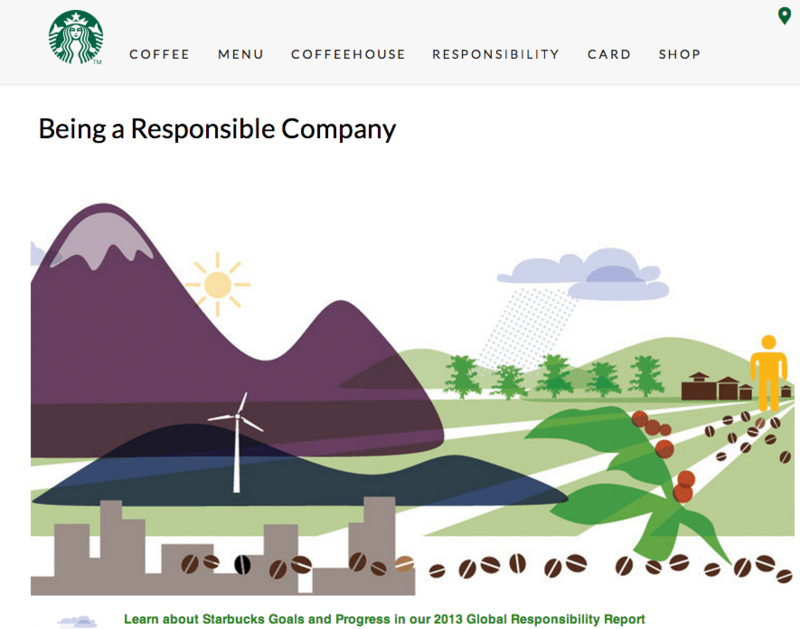 Screen shot from Starbucks’ website. As a real estate professional, you have a fantastic opportunity to integrate the passions and values you hold dear into your marketing. Choosing a focus built around your lifestyle and beliefs can be a slippery slope if it is at all controversial or polarizing, but there’s no question that the number of agents choosing a brand strategy embracing values such as a vegetarian or vegan lifestyle, sustainability/reduced carbon footprint, being car-free, supporting animal rights or others is steadily increasing. Where agents might once have a “personal” blog related to the vegan lifestyle, we now see an integration into their business philosophy and overall presence and marketing. This type of specialization is often coupled with a related charitable donation made after each sale. Greater focus on social conscience helps the mind but by no means are we neglecting the body. Health and fitness continue to be a huge area of growth in branding, and we see that reflected in specializations. Running events and triathlons are seeing record numbers of participants while yoga, Pilates, CrossFit and other exercise disciplines create new converts daily. Passionate about running? 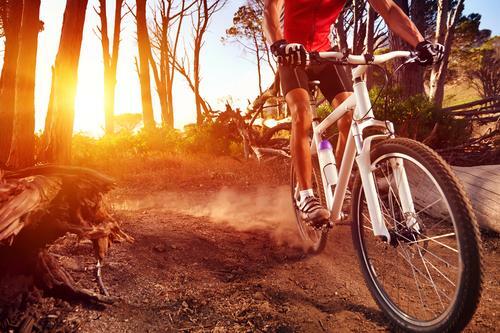 Take part in local race expos to target a market you already have something in common with. Bring information on the best running routes, local vendors catering to that community, or perhaps negotiate a special discount code for an upcoming race with the organizer — but feature listings in run-friendly communities as well. This is particularly effective for races tied to a series such as the Competitor Group’s “Rock ‘n’ Roll” marathon events, which draw participants from all over the world to various cities throughout the year. Likewise, if you are a yoga devotee, partner with local studios to cross-promote your services via clinics, discounts or sponsorship of events. However, what really sets them apart is their video marketing, beginning with a fantastic commercial that emphasizes their hook that “our clients are the rockstars.” They take things a step further with fantastic cinematic-style property videos that are a far cry from the usual video slideshow with music you’d expect to hear on a phone while on hold. For a 1905-built property they utilized vintage music and filmed in black and white, emphasizing the classy home. Another shows a family grilling out and playing in the backyard of the home, really selling the lifestyle provided by the home itself. A nice touch is using music from local artists (who no doubt help promote the videos as well) plus they don’t make the mistake many agents do with YouTube property videos — they update the title of the video with “SOLD” at the end when a transaction happens. The next movie they did hit over 1.2 million views, which no doubt made the client very happy that they contacted Adams after seeing the first movie. The Neo Property videos are incredibly cinematic — and a bit racy so they might not be appropriate for all markets. In the end, however, they did deliver incredible value for the money while showing off the agents’ personalities in the process. Neo Properties video screen shot. There are an almost endless amount of specialization possibilities for real estate agents to adopt — we’ve only scratched the surface. In my market alone, I see agents target divorcees, single mothers, seniors, new immigrants and other traditional demographic segments; but others brand themselves as the Car Free Realtor, the “Flexible” Realtor (yoga) and the Sci-Fi Realtor. If you’ve been doing business as a generalist, perhaps taking a fresh look at your business plan and branding isn’t a bad idea, particularly if you’re looking to break out of a slump after a few years in the industry. Change is never easy, but, as my father told me, there’s a big difference between 20 years of experience and one year repeated 20 times. The latter is quite prevalent, especially if one has a degree of early success, to which my pop added, “… Sort of like 60-year-old women wearing the same hairdo they had in high school.” It’s never too late to break the mold you’ve built for yourself and try something different. Bret Calltharp works as business development specialist for the Metro Vancouver Properties Group, a 10-office Re/Max franchise in Vancouver, British Columbia. 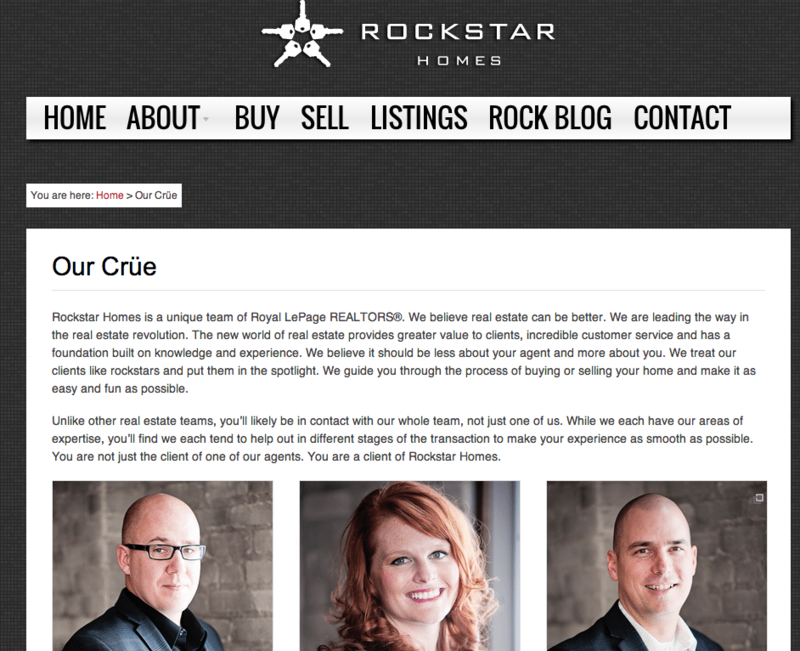 He can be reached at bret@metrovp.ca and on Twitter: @remaxjedi.